Calendar Update for the South Shore Park Watch!!!! Join US!!! 9am – Noon. Meet at the trailhead near the playground. Please help us to support wildlife diversity be removing invasive plants from our park. We can’t do it without you! Saturday 8:00 a.m. until 1:00 p.m.
9am – Noon. Meet at the trailhead near the playground. 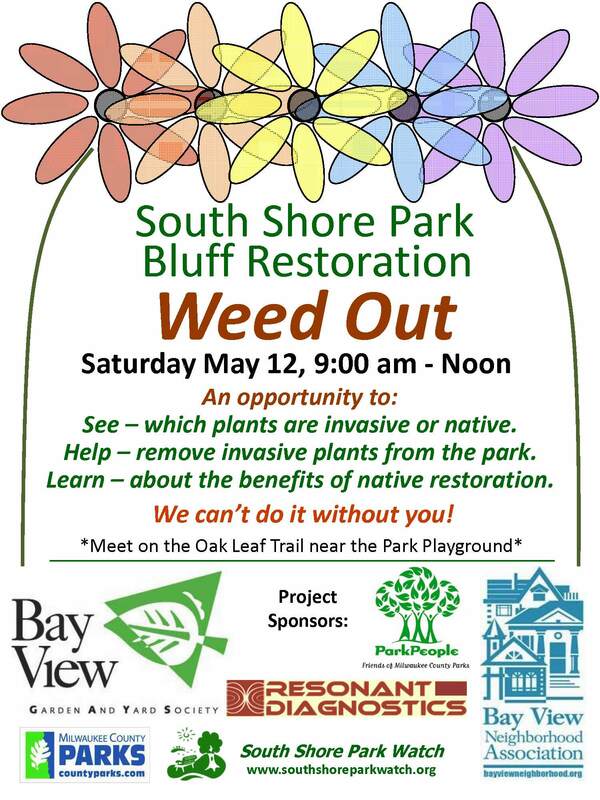 Help us plant native wildflowers and grasses in the bluff restoration area. No tools or experience necessary. SouthShore Pavilion. 7:00 pm Thurs. June 16 – Farmer’s Market Opens! Previous postBluff Restoration Weed Out This Saturday!